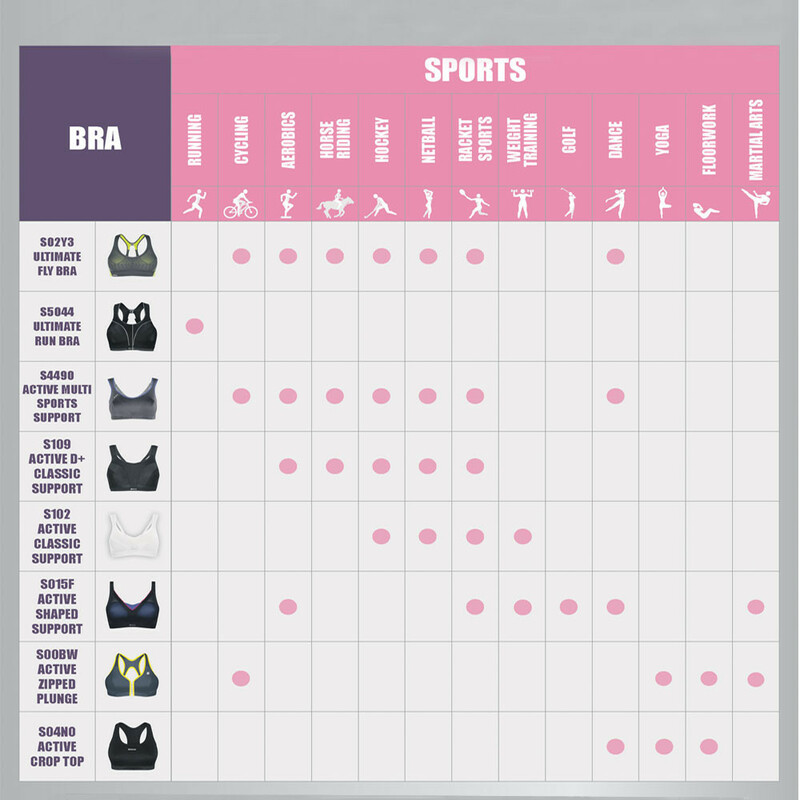 The RUN sports bra offers enhanced support to target excessive breast movement. The seam-free inner and concealed elastic under arms reduces any rubbing or chafing. "Good fit and very good service"
Designed specifically for runners, the award-winning Ultimate RUN bra reduces bounce by up to 78% and provides ultimate friction-free comfort. Designed with Shock Absorber's signature Infinity-8 Rear Support System, the Shock Absorber Ultimate Run Sports Bra is the perfect running companion for female athletes seeking maximum impact protection and bounce control. Clinically proven to reduce breast movement by up to 78%, the Ultimate Run Sports Bra is an award-winning garment which delivers unbeatable support during runs and high-intensity exercise. Featuring a Seam Free Inner and Concealed Elastic to reduce rubbing and chaffing, this uber-supportive sports bra is constructed from a range of high performance, moisture-wicking fabrics to help keep workouts cool, dry and comfortable. 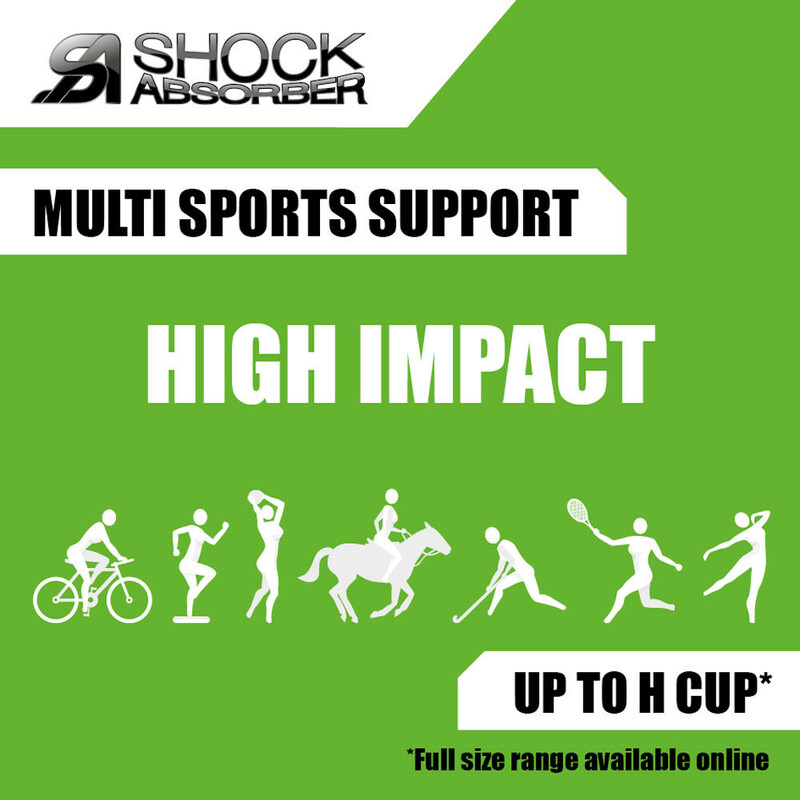 Meanwhile, Padded Non-Slip Straps ensure a confidence-inspiring fit and feel that's incredibly easy to adjust and there's a thick and supple Underband for additional support where you need it most. 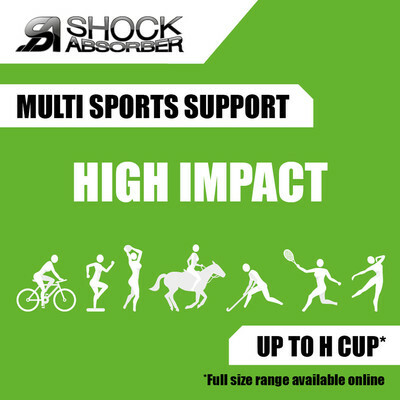 Lastly, Reflective Accents and a Cushioned Hook and Eye Fastening System also provide added peace of mind, so whatever your bust size, whatever your sport, Shock Absorber won't let you down. 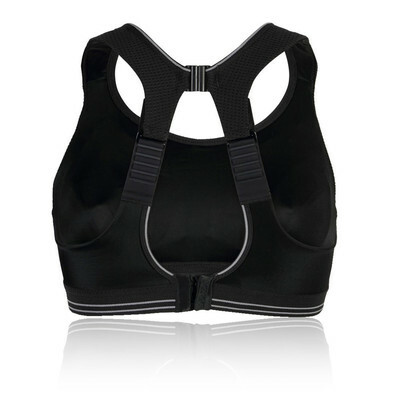 Infinity-8 support system - Counteracts the breasts' figure-of-eight movement during running. Soft, seamless inner - Reduces rubbing or chafing. Adjustable straps - Non-slip, wide padded. Reflective tape - Across cups for high visibility. Full back opening - For easy on and off. Performance fabric - Moisture-wicking, breathable fabric. Composition - 81% Polyamide(Nylon) 10% Polyester 9% Elastane(Spandex).